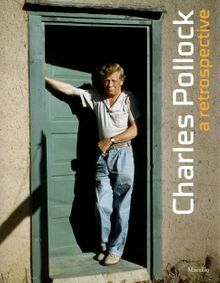 This monographic volume presents the world, style and language of Charles Pollock, Jackson's oldest brother, who was born in 1902 in Denver and died in Paris in 1988. The book is enriched by a vast range of materials, works and documents, many of them previously unpublished, that have been made available by the Charles Pollock Archives in Paris, thanks to the Pollock family. Hardcover, 10.6 x 8.25 in. / 224 pgs / 160 color.